The role of former US President Bill Clinton and his associates in the economic liberalization of Russia and the post-Soviet space in the 1990s deserves scrupulous investigation, Wall Street analyst Charles Ortel has told Sputnik, adding that although decades have passed since then, the issue has not lost its relevance. Nearly 20 years ago, an article by Dr. Janine Wedel – “Harvard Boys Do Russia” – appeared in The Nation shedding light on the controversial role the Harvard Institute for International Development (HIID) backed by the Clinton administration played in Russia’s 1990s economic reforms. Wall Street analyst and investigative journalist Charles Ortel believes that the case still deserves scrutiny. “Absolutely,” Ortel told Sputnik responding to the question whether the HIID’s activities in the post-Soviet space and its assistance in the all-out privatization of state-owned assets need to be properly reinvestigated. “In practice, it is certain that insiders in many nations where privatization happened (not only in the former Soviet Union, but across Central Europe and the rest of the world) likely appropriated many billions of dollars (arguably far more than that) by transferring valuable assets at low prices, and other thefts, often with the support and connivance of many politicians who also were in on the game,” Ortel explained. The investigative journalist pointed out that “this dirty business acquired the veneer of respectability in many cases through the intercession of ‘professors,’ consultants, and other professionals who lent their ‘expertise’.””It is well past time for a real accounting of what actually happened!” he noted. A series of investigations into HIID’s alleged fraud in Russia and Ukraine carried out from 1996 to 2004 resulted in a breach of contract between Harvard and the US government, while HIID’s managers Professor Andrei Shleifer and Jonathan Hay were accused of making personal gains from investments in Russia while working under contract. They agreed to pay the US government $31 million to settle the case. 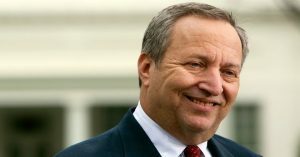 After the publication of the 2006 article by David McClintick, an author and investigative journalist who once again brought the spotlight on the HIID’s controversial effort to help Russia privatize its economy in the 1990s, Lawrence Summers (pictured), who served as senior US Treasury Department official (1993 — 2001) under Bill Clinton, resigned from his position at Harvard where he was serving as the University’s director. At the same time, former US President Bill Clinton, his administration and former Harvard professor Jeffrey Sachs who, according to Wedel, worked closely with the Russian privatization team, somehow avoided scrutiny. Is it possible that Bill Clinton and Jeffrey Sachs personally benefitted from HIID’s activities in Russia and Ukraine? “The assumptions (in particular Farmer’s sketchy work on HIV/AIDS treatment in Haiti, a nation whose deplorable condition is radically different than across poor Africa) are laughable and do not even work to support the mathematical calculations arguing for funding,” the analyst emphasized. 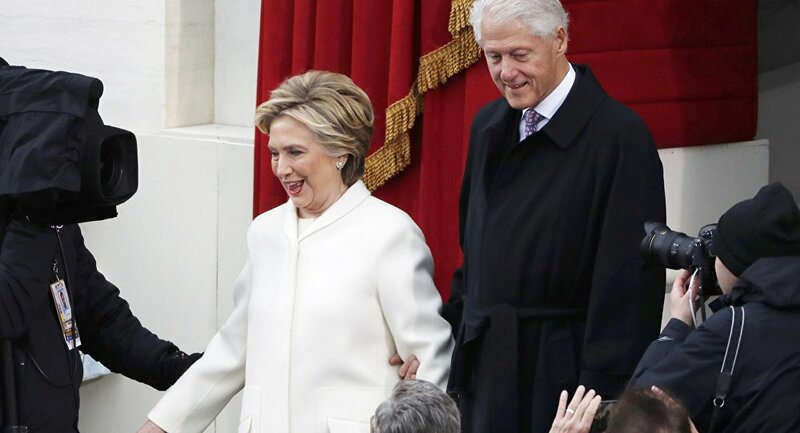 In his previous interviews with Sputnik, Ortel, who has been carrying out a private investigation into the Clinton Foundation’s alleged fraud over the last few years, revealed some controversial aspects of the Clintons’ HIV/AIDS initiative. “In [poor nations’] challenging conditions, and given endemic corruption, one suspects that the mammoth sums ultimately raised could not possibly have been deployed to treat patients, and that tens of billions of dollars intended to fight HIV/AIDS have instead been grifted and grafted away,” the analyst suggested. “So, as in the case of Sachs’ work ‘privatizing’ the former Soviet Union, Central and Eastern Europe, the HIV/AIDS ‘fight’ has instead fueled even more corruption and serves to demean the once mighty reputation of many fine Universities, not simply Harvard,” Ortel said. 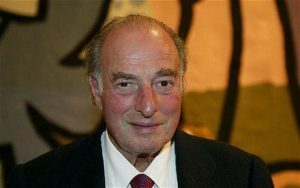 As for Bill Clinton, one needs to remember that “one important donor to the Clinton Foundation and patron of the Clinton family was Marc Rich (pictured), a man who figured centrally in ‘privatization’ schemes,” the Wall Street analyst remarked. As The Washington Post revealed in 2001, in the 1990s Rich was nothing short of “the single most important Western trader in Russia” for a time. He set up more than 100 front companies in the country, benefitting from privatization and the “liberalization” of the country’s economy. Rich, who was charged with 51 counts of tax fraud in the US, was pardoned by then President Clinton on his last day of office, January 20, 2001, a controversy that persists to this day. On November 1, 2016 the Federal Bureau of Investigation released documents from a 2001 investigation into Clinton’s controversial presidential pardon. Speaking about the necessity to conduct a thorough investigation of Bill and Hillary Clinton’s activities during their tenures as the president of the US and the secretary of state, respectively, Ortel suggested that the inquiry should be as broad as possible. “Starting here in the United States, we need honest accounting of how national assets may have been used for corrupt personal or political purposes. And I venture to say that citizens in many other countries would also benefit from such an accounting,” he stressed. “If we are concerned about unequal distribution of wealth and corruption, we should expose ‘public servants’ who pay lip service to their roles working for constituents and merely play the part of being in their respective positions, while they secretly use cronies to amass as much wealth and power as possible, gaming the unregulated globalist system,” the analyst underscored. He expressed hope that US President Donald Trump “does have the stomach” to expose the decades-long corruption. “At this time of year, so important to so many peoples, we need to actually do right for the poorest and most vulnerable among us, not to benefit ourselves, rather to prove that doing right is the correct and decent way for modern humans across the world to behave,” Ortel concluded.